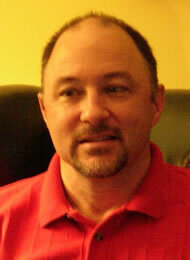 Mitchell resides in Morganton, NC with his wife Page. Mitchell works in the textile industry as a quality manager for a company in South Carolina. “I began carving in the early 1980s out of necessity. Carving was a frugal way to provide a gift for my sister”, Mitchell said. Although he has not carved continuously since his first carving experience, a meeting with CCA member and author Tom Wolfe rekindled that desire to create in wood. Mitchell has since taken classes with a number of CCA members including Pete LeClair, Peter Ortel, Desiree Hajny, Gary Falin, and Harold Enlow. Memberships include The National Wood Carvers Association, Charlotte Wood Carvers Club, The Catawba Valley Wood Carvers Club, and the Artisans Guild of N.C. Mitchell’s caricature chess set was featured on the cover of the fall 2008 issue of Woodcarving Illustrated. Mitchell is also a moderator on the Woodcarving Illustrated message board; www.WoodcarvingIllustrated.com/forum. Mitchell has been a member of the CCA since 2009 and a member of the Charlotte Wood Carving club since 1995 and the Catawba Wood Carving club since 2003.